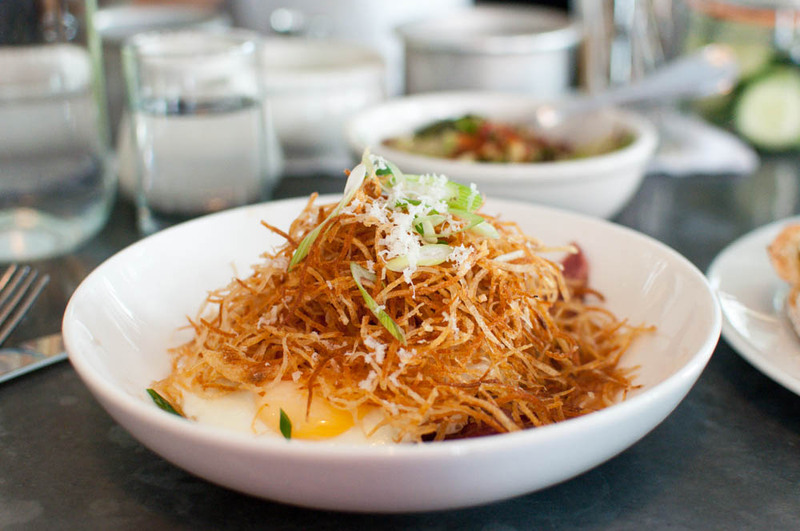 I can never say enough great things about Joseph Leonard, especially when it comes to brunch at this quintessential West Village neighborhood spot. We lucked out on a recent visit before noon on a Saturday. No wait and seats at the bar – I couldn’t believe our luck! 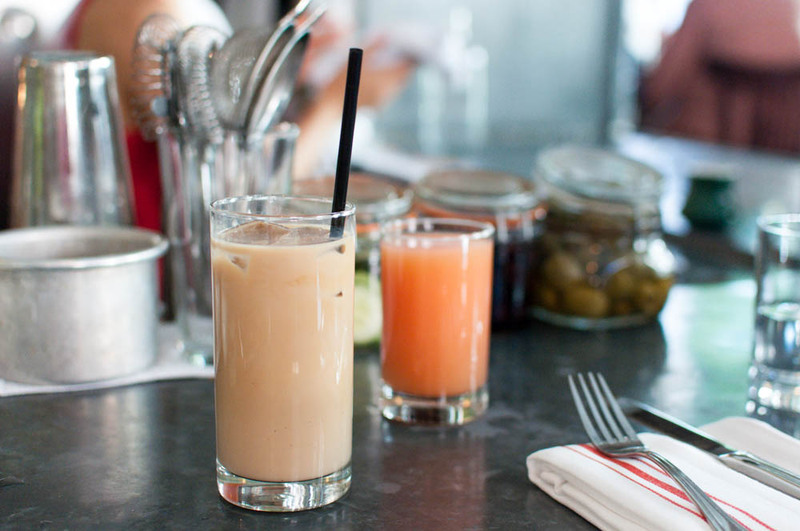 Ice latte for me and fresh grapefruit juice for WK to start. We were in a sharing mood which means being able to taste more than just one thing. The brisket and eggs with two fried eggs, horseradish and cheddar came out first and was topped with shoestring potatoes. I had to dig a little deep for the brisket pieces but underneath all those crispy potatoes and eggs, there they were! This is my first time ordering the fried chicken sandwich at Joseph Leonard and boy have I been missing out! The crispy golden brown chicken piece was drizzled with honey and tabasco. A light spread of mayo and some butter cucumbers complete the sandwich served on chewy but soft ciabtta roll. 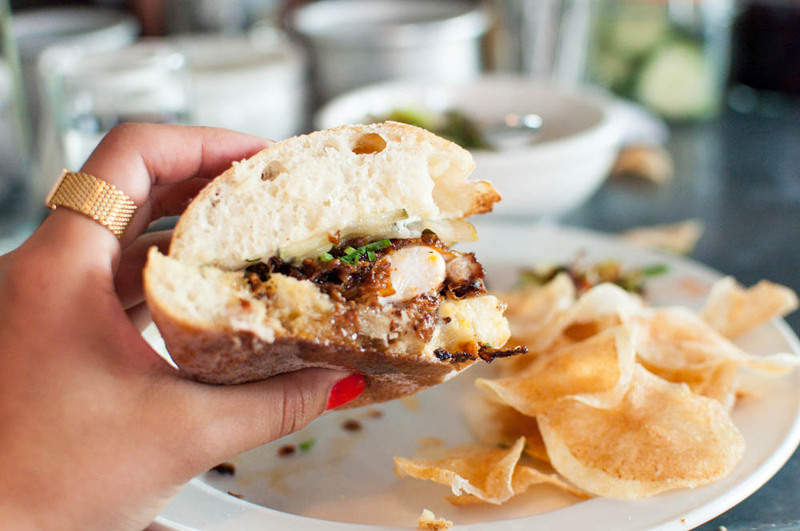 This might not be a conventional brunch item but do not shy away from it. 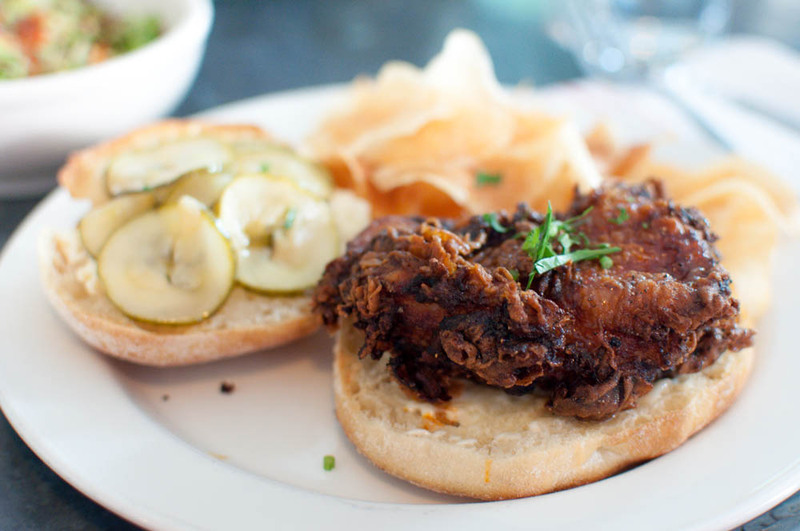 The fried chicken sandwich here is truly one good-for-any-time dish. I had to think long and hard but ultimately nixed the brunch must have item on the menu, the country fried bacon with tabasco and honey. 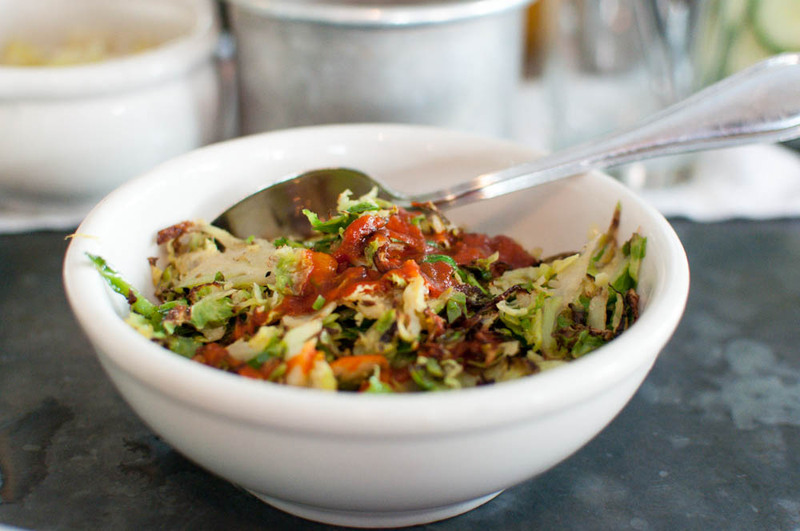 Instead, we went with the other quintessential dish at Joseph Leonard, brussels sprouts with sriracha sauce. A delicious and satisfying dish to round out the brunch and we could almost pretend that it was somewhat healthy. ← Blue Ribbon Fried Chicken is Finally Here!